Samra Khan’s debut single BOL hits Taazi’s top five chart. The song is a blend of powerful lyrics and her melodious voice. Taazi is a renowned digital content delivery network, which supports the artist community with legal, uploads of music in Pakistan. 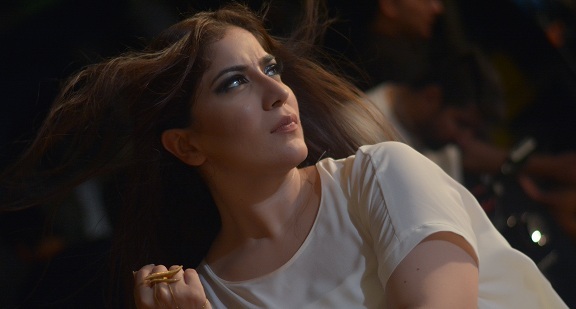 SamraKhan, recently released her first single ‘BOL’, composed by Atif Ali and lyrics written by Waqqas Qadir Sheikh. ‘BOL’ the song is not just about speaking out, it’s about liberation & conquering everything you ever wanted, without worrying what others would say or think. It is a message to everyone who has been told that they cannot move on, reach out or achieve their goals. The energy and passion Samra Khan brings to these lyrics are readily evident that she is becoming the new singing sensation in Pakistan, being recognized by millions of her fans. Season 8. Being a corporate banker by profession, Samra has been pursuing her passion for singing since a very early age, performing during her school and college life. She completed her MBA from IoBM (CBM) Karachi and moved to Australia, where she continued to balance both her banking and singing career and got her big break in Coke Studio Pakistan in 2015 with the Madam Noor Jehan song “Hina Ki Khushbu”, raking in over 1 million views on YouTube.